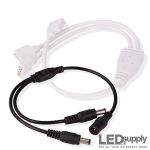 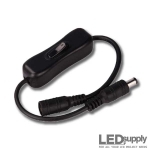 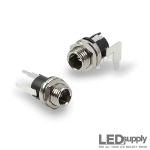 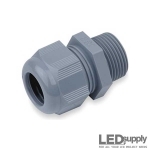 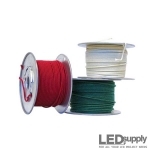 2.1mm male or female plug with 6" long wires, connected to a 2-pin LED strip connector for 10mm wide single color LED strips. 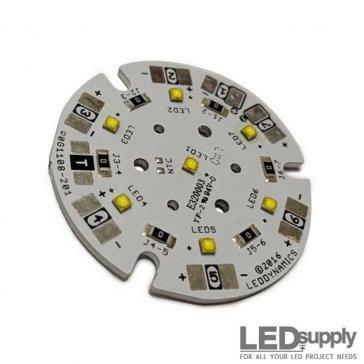 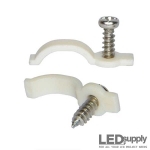 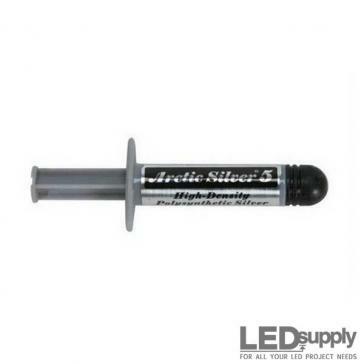 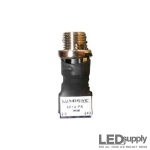 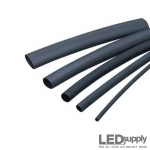 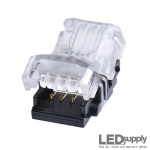 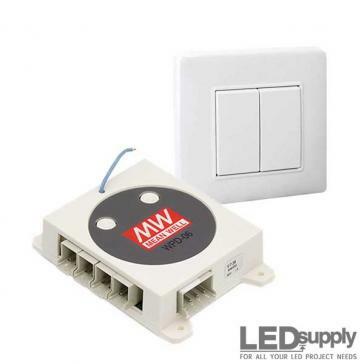 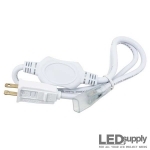 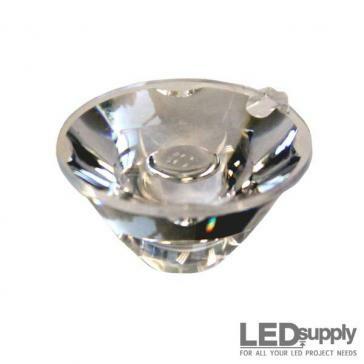 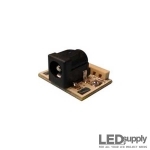 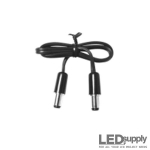 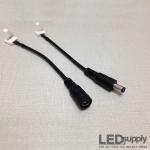 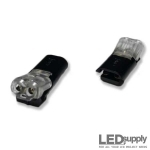 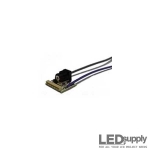 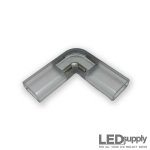 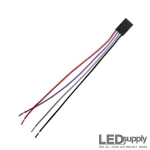 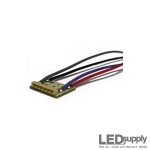 Use these L-shape connectors when your AC5050 LED strips need to go around a corner (90 degrees). 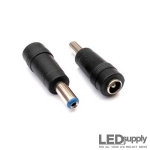 2.5mm to 2.1mm DC Barrel Plug Adapter. 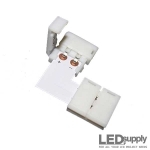 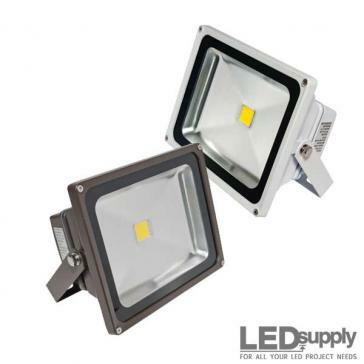 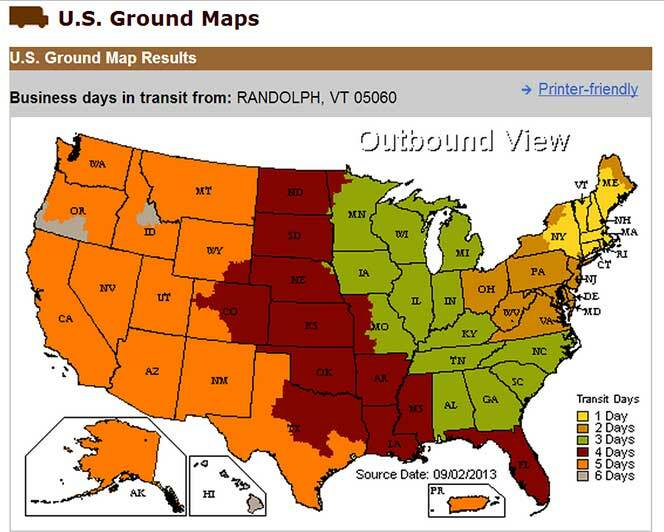 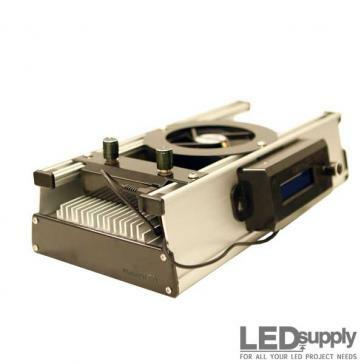 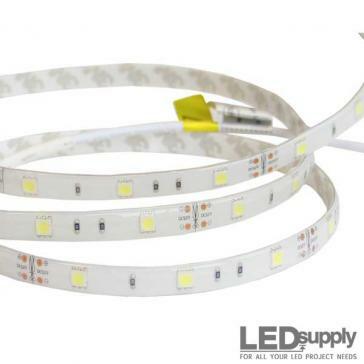 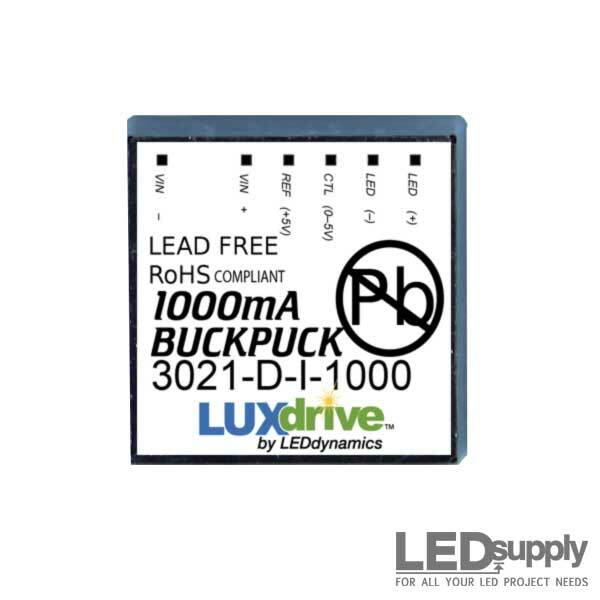 Have a gap in your LED strip lighting? 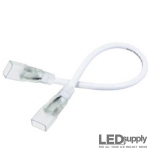 Use these jumpers to connect two separate AC 5050 strips. 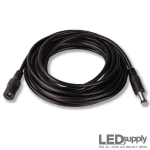 Jumper cables for passing power between multiple sections of LED Rope Light - available in 2-foot and 15-foot lengths. 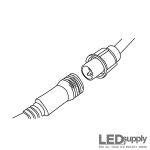 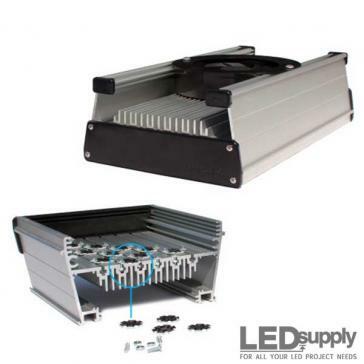 Jumper cable for passing power between multiple LVL2 linear fixtures.